Brisbane, the capital of the State of Queensland is Australia's fastest growing state. This growth is also reflected within the Jewish community, with a constant flow of new families moving into Brisbane from interstate and overseas. See below for some of the many community programs and services available to the Brisbane Jewish community. Join the hundreds who have already enjoyed an intellectually stimulating educational program. See what options are available for Jewish education for primary and high school children in Brisbane. The tradition of Mikvah and the laws of Family Purity are central to Jewish life. Discover more about the tradition that can become a fulfilling part of your marriage. With a regular influx of Jewish visitors to Brisbane and for those who find it difficult to cook for themselves, we offer tasty and nutritious Kosher meals. Our dedicated team of Rabbis and volunteers are always on-call to visit the sick, the elderly, the homebound and the hospitalised. Our dedicated Rabbis and Rebbetzins offer counselling for all types of issues, and when necessary will pass you on to professionals. 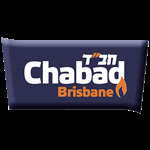 The Brisbane Jewish Calendar is an annual publication of Chabad Brisbane, distributed free-of-charge to the wider Brisbane Jewish community. Our library includes some 500 volumes on all aspects of Judaism as well as novels of interest for the Jewish reader and an extensive children's and youth section. Check out our wide range of recent community events.